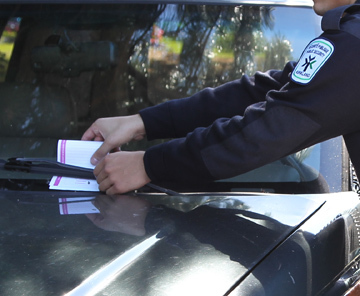 A citizen who receives a statement of offence issued for an infraction of a by-law may plead guilty and pay the fine at the Town Hall service counter (point of service reserved for Kirkland residents only). The following payment methods are accepted: cash, cheque, money order and debit (Interac). Fines can also be paid online by credit card, for a nominal fee. In some cases, ex. for an installment agreement, you may need to go to a Montreal Municipal Court service counter. To contest a statement of offence, you must fill out the statement of offence and follow the instructions shown. Statements of offence issued by the S�ret� du Qu�bec cannot be processed by the Town.